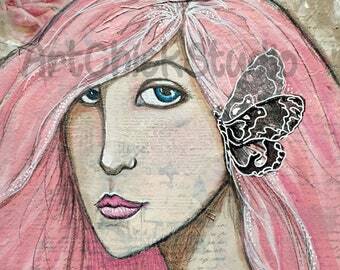 This listing is for a set of 3 Note Cards featuring art from my Mixed Media Girls series. 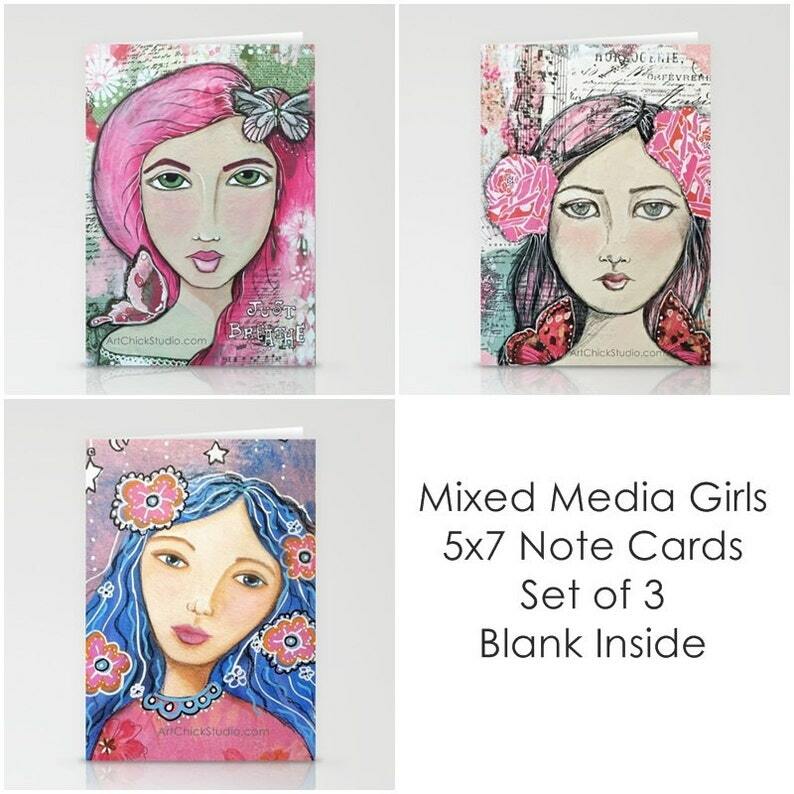 Each card is 5x7" and printed on bright white, smooth card stock and includes an envelope. 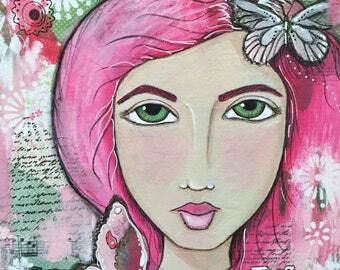 The cards are blank on the inside so that you can add your own notes or messages.